The PK3A Program at All Kids 1st Learning Academy is a literacy rich program that has been designed to give our students a superior academic base. 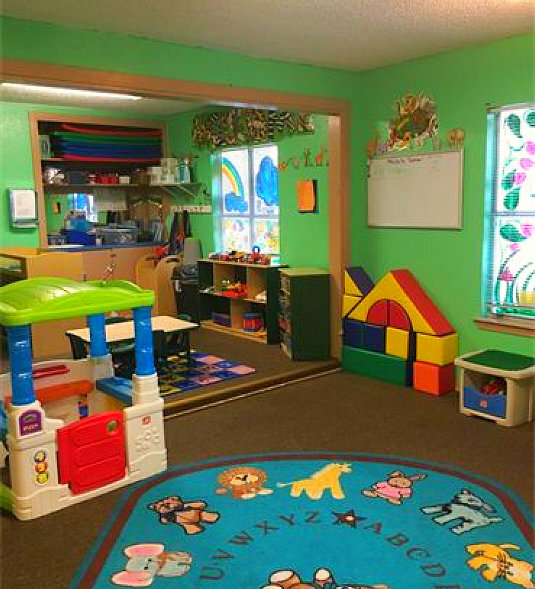 Through the use of The Fun-Shine Curriculum for Preschool, children are enabled to develop confidence, creativity, and lifelong critical thinking skills. The students are encouraged to use their thought process to solve everyday occurrences in the classroom. Teachers give students the opportunity to elaborate and explain their ideas, opinions, thoughts, predictions, needs, works of art, and actions. They are also constantly presenting them with questions and situations that enable them to develop their critical thinking and problem-solving skills. Pencils are used for beginning handwriting of letters, numbers, first name, and shapes by tracing and replication. Our students progress from tracing to writing exercises such as copy work, where students copy a series of letters or words independently. Fine motor skills development is necessary to build the finger strength and dexterity necessary for proper pencil grip. We work on this through the use of gluing, printmaking, cutting straight lines and figures, sculpting, pouring, and threading. Our PK3 program provides an introduction to reading and phonics. Our curriculum highlights include recognition of all letters and letter sounds (including the identification of vowels) as well as word recognition through reading color words, number words, classmate’s names, and over 40 additional sight words which are pulled from the literature they read as a group. Upper case and lower-case letters are both taught due to research that suggests that lower case letters are seen (and read) 80% of the time. Our curriculum goes beyond rote memorization techniques to include literacy components which highlight parts of speech and vocabulary. Language development is enhanced through an enriched vocabulary curriculum through literature and thematic units. Children engage in language activities such as matching capital and lower-case letters, identifying rhyming words, and counting syllables. Our PK3 Mathematics curriculum is a structured, skills-based program that approaches each learning goal through a variety of activities. Number skills taught include recognition of numbers 1-20 and the association of their corresponding values. Our course of study covers topics such as use of a number line, sorting by color and size, one to one correspondence, AB patterns, sequencing, and simple measurement. Our teachers spend hours each week designing a course of study that balances our traditional approach to education with the unique needs of each child. Lesson plans are customized to strengthen the weak areas of every child. Through tri-annual formal assessments of each child, our teachers can mold lessons to ensure academic growth for each child. 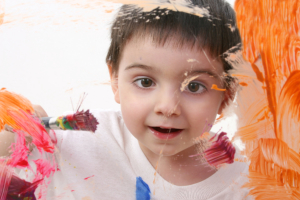 In addition to traditional academic subjects, art projects are created each day using a variety of materials and supplies to support creative development and self-expression. Gross motor skills are supported through both indoor and outdoor activities such as throwing over hand, catching with two hands, and balancing on one foot. For inquiries and concerns, you can reach us at 210-822-7777. To register your child to this program, please proceed to our online Enrollment page now.